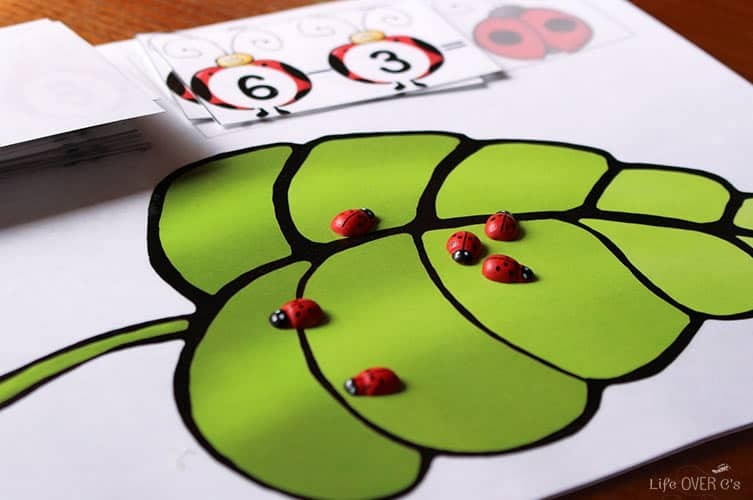 Free Ladybug Printable for Subtracting from 10. 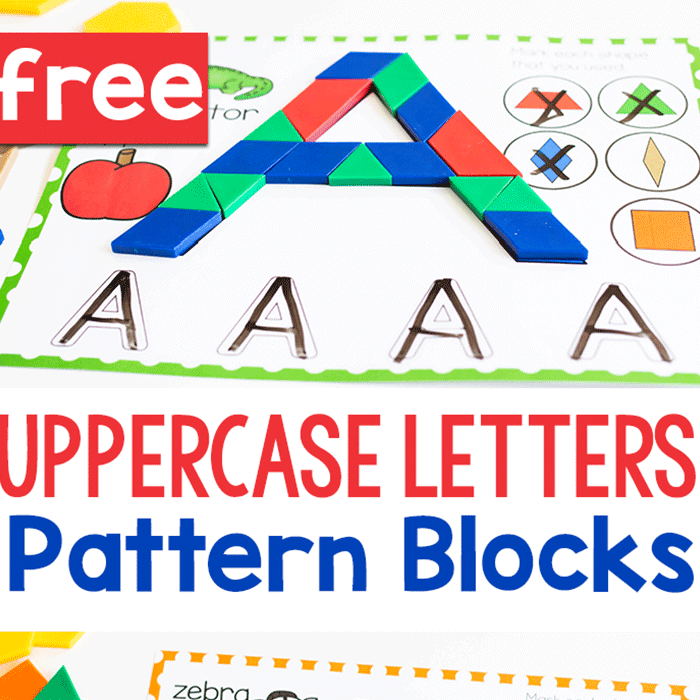 We love our addition to 10 sets so much that I created a subtraction set to match! 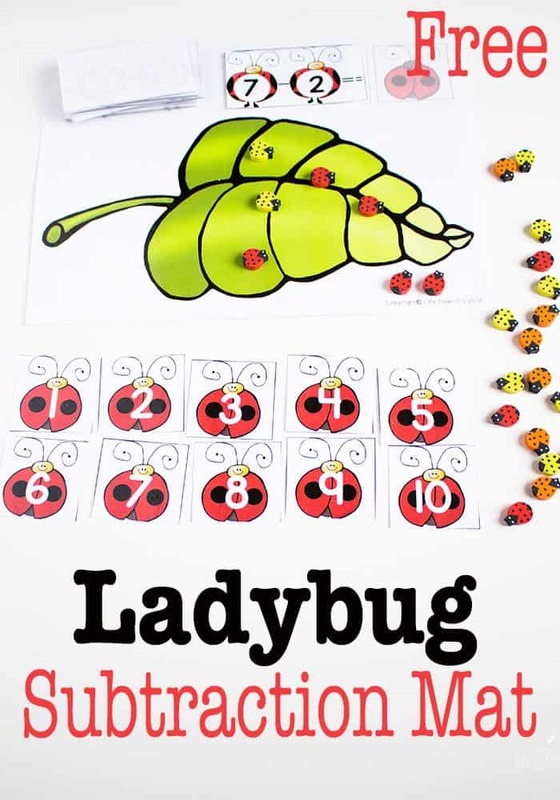 This free ladybug printable for subtracting from 10 is the perfect hands-on activity for kids who are just starting to understand what subtraction is and working on subtraction facts. 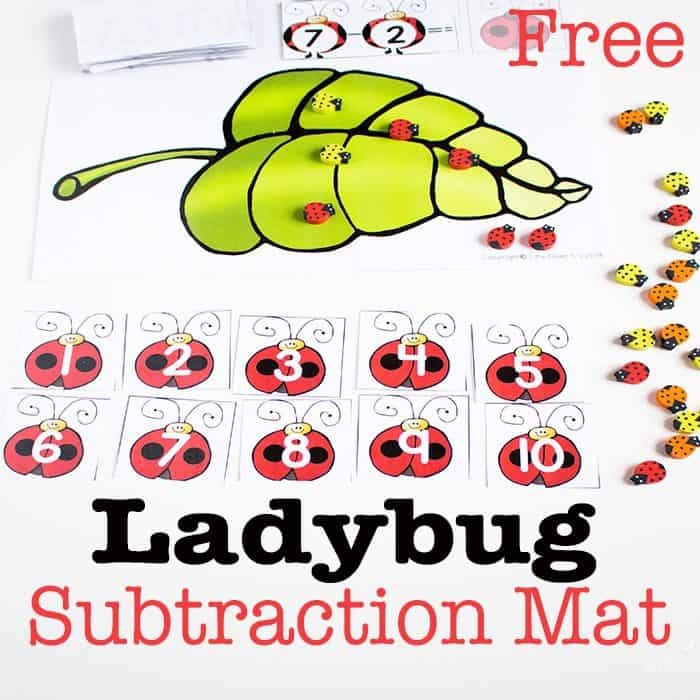 Cut out the subtraction fact cards and ladybugs. 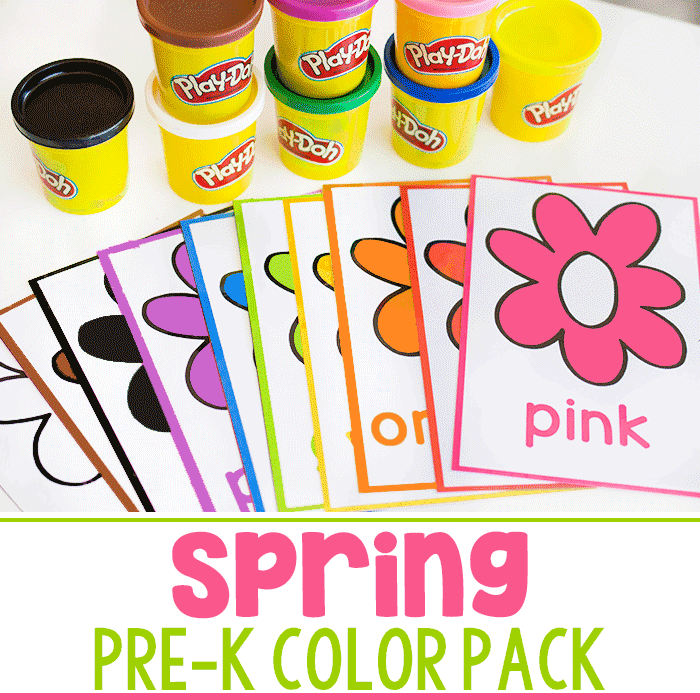 Optional: You can use red pom poms or ladybug buttons in place of the printable ladybugs for a more multi-sensory experience. The student will select a subtraction fact card and place it on the rectangle with the subtraction fact representation at the top of the leaf page. 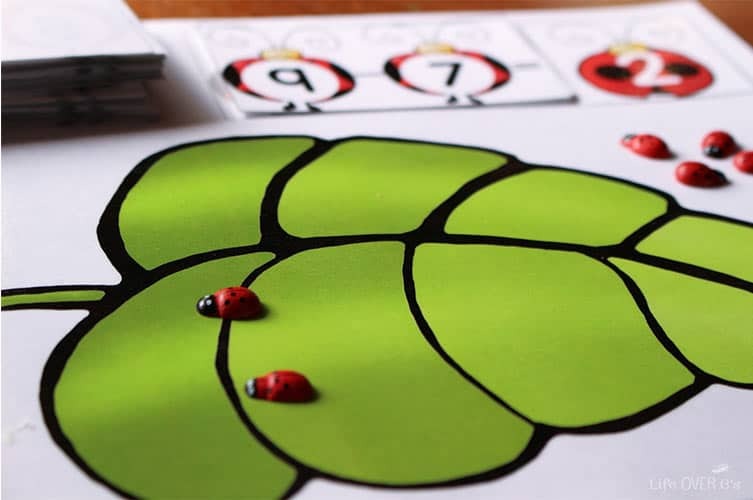 Then, they will collect the total amount of ladybugs shown on the card to represent the subtraction problem and place them on the leaf. 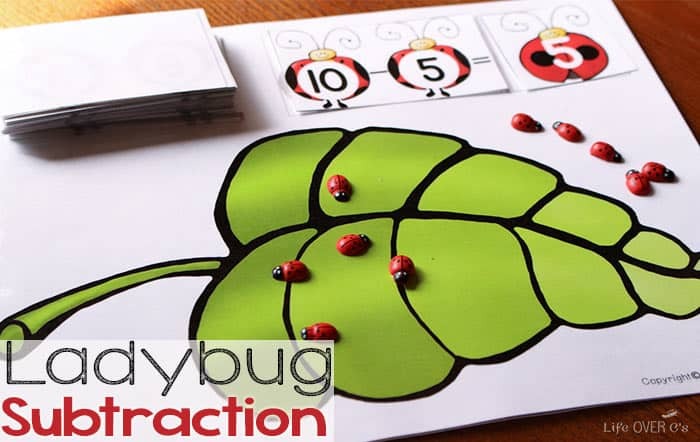 Remove the number of ladybugs to demonstrate the subtraction problem and find the matching numbered ladybug. Place it on the square with the ladybug to complete the subtraction problem. Say the subtraction problem out loud to help commit it to memory. These ladybugs that I picked up at Michael’s are so cute! They had sticky dots on the back of them, but I easily removed them and just used the wooden lady bugs. 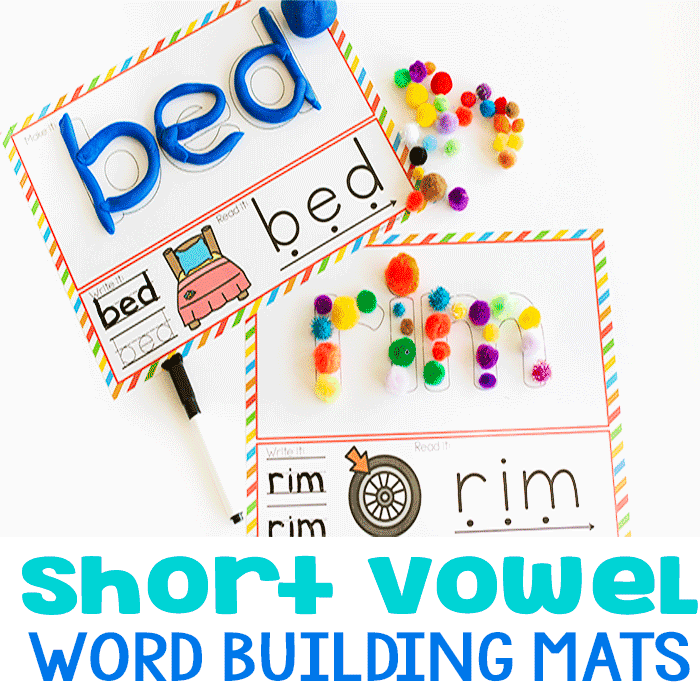 They are perfect for kids who need fine motor practice because they are so small! You could also use any ladybug buttons or even just red pom poms. If you want to focus on specific math facts, just remove the extras from the draw pile. This was perfect for introducing addition facts earlier in the year. THANK YOU! THANK YOU! The Ladybug Addition and Subtracting Printables are great! Thanks for sharing. I am so sorry about that! The link has been corrected above. This is absolutely fabulous! Thank you so so much! Would you possibly do one that goes up to 20? I’ll keep it in mind for future projects!